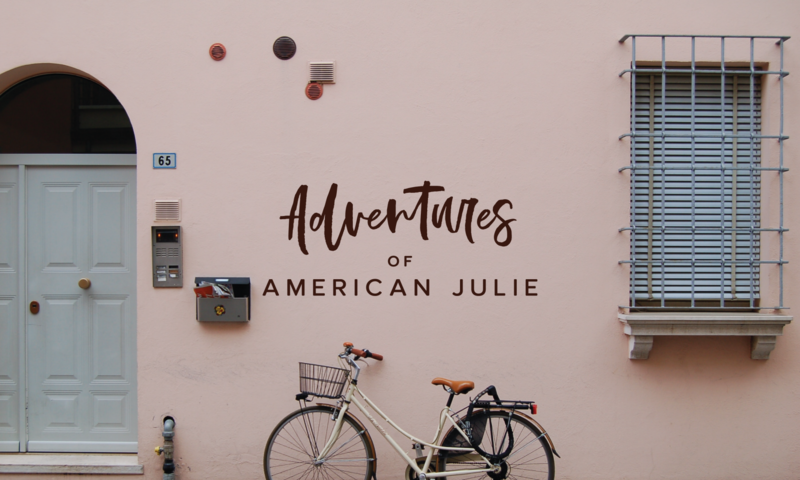 This is my 500th blog post on Adventures of American Julie. I am thrilled to reach this milestone. I began blogging in 2011 with my midlife crisis that took me to New Zealand for almost 6 months in Redesigning Forty Nine . Since August 2013 when my first blog post went live (without a photo!) I have been blogging as American Julie with accompanying social media posts on Twitter and Instagram. I’ve explored my interest in cycling and viewing penguins. I have checked out bookstores and wool shops around the world. I have rediscovered Iowa cousins and visited friends in Australia and Sweden. Blogging adds depth to my experience and motivates me to explore deeper and wider. There are so many places I want to go: Tierra del Fuego, Svalbard, Cape Town, Antarctica, Tasmania, and more. Plus I a few states remain in the USA to visit to hit 50 plus Puerto Rico! God willing I will share my adventures with you! My very first solo trip overseas was to London and Dublin. London was a tough slog as people are just not very friendly. I treated myself to the Royal Mews and all the other things that previous trips I’d been deprived in the negotiations with friends over itineraries. When I arrived in Dublin I immediately felt welcome and relaxed. I would order my half pint of Guinness at the bar and someone would hear my American accent and start a conversation. I had an absolutely fabulous time. I really loved the Irish peoples love for group singing in pubs. It doesn’t happen every time. Every time it did happen I would sit grinning and join in if I knew the song. At that time in the mid 90s the Dubliners I met LOVED John Denver so we sang a lot of “Country Roads.” It is an uplifting experience and that is not the Guinness talking. When Tevis and I got to Dublin he confirmed a meet up with a friend who he met when working in Mountain View. We met up at a pub on the edge of Temple Bar in Dublin–Peadar Kearney. It is smallish, even so we were able to grab a table. Deeper in the bar a live band led the crowd in a sing along. I smiled wide. I love Ireland. Growing up in Belfast is one of the things I’ve always found interesting in CS Lewis’ biography. His childhood was well before the Troubles and his family was obviously well off. Perhaps his fascination with myths and fairy tales was influenced by growing up in Northern Ireland. When he converted to Christianity he became an Anglican–not a Presbyterian as many Northern Ireland protestants or Catholic as it carries the political weight of the Irish question. At the same time I just really enjoy all of his writing and have loved reading everything by him or about him. In a quick trip through Northern Ireland I didn’t have as much time as I hoped to indulge. I read about the CS Lewis Trail and I made a note in my journal. My timeline got squeezed and I did not make it. So I was delighted when we finished dinner with friends and Belfastian Peter offered to give us a tour of the Habitat for Humanity houses we helped build and I had the presence of mind to remember that he lived close to CS Lewis’ childhood home. It was our first stop! The CS Lewis Trail is another reason to return to Belfast, as if I needed one! Lover’s Point in Pacific Grove, CA is popular with families and others year round. I received the Monterey Bay Aquarium e-newsletter announcing the Member’s Night and made a hotel reservation right away. I figured that on a random Saturday night in January it would be quiet. While it is less busy than this last weekend with the AT&T golf tournament in Pebble Beach, it was still lively. Traffic on Saturday was congested at various points between Sacramento and Monterey. I reached Monterey in time for a late lunch at Gianni’s Pizza in New Monterey. I checked into my hotel (not worth mentioning) and walked to the Pacific Grove coastal walk for some fresh air. It was beautiful at Lover’s Point. The first Lover’s Point beach is the most protected and perfect for families with young children. The water is c-c-c-old but there is plenty of sand. This beach is also closest to a snack bar and coffee shop. Beach 2: Good for body paddling out to the surf. The second beach at Lover’s Point provides access to the surf if you are interested in paddling out or surfing. The first two beaches have stairways to make access easier. The third beach didn’t reveal itself until I walked a bit further along the beach walkway and looked back. It is a sliver of sand between the rock face and the waves. It is a beach for teenagers and others who like daring each other to dash in the surf. Pacific Grove is a wintering site for a diminishing Monarch population. Lover’s Point is the perfect destination for a family walk and picnic or a bike ride. There is some parking on the street and is a good stopping point if you are driving around the peninsula on the coast road. Or it can be a rest stop if you are walking from Asilomar to the Aquarium. I decided one night is not enough to warrant .a 3.5-4.5 hour drive one way. A sign of my age, sigh. When I was a teenager I would drive that much to spend the day at the beach. Then with children I needed at least an overnight. Now I want more than one night to recover and to justify the carbon footprint! One thing for sure, Pacific Grove is worth the effort even in the dead of winter.